According to https://askubuntu.com/questions/1056909/no-sound-on-asus-zenbook-ux391ua-with-hda-intel-pch , another user have the same problem as me. Did somebody already find a solution or knows how to debug this properly? I am experiencing the same problem running Ubuntu and Windows 10 on the same Zenbook model. Sound working on Windows 10 but not on Ubuntu 18.04. I have not managed to solve the problem. Same issue for me. I have Ubuntu 18.04 on Asus UX391UA. No sound either through headphones or speakers. I even installed Windows on an external drive, because the author of this thread (https://askubuntu.com/questions/986140/no-sound-output-ubuntu-17-10-asus-zenbook-13) assumed that a proper shutdown of Windows could solve this issue for Linux users, but it didn't help either. BTW, can somebody confirm that this ZenBook S UX391UA on Ubuntu 18.04 runs quite hot, even while doing normal "office stuff"? At some point the preinstalled thermald daemon even forcefully shuts down Ubuntu, preventing it from overheating. "Package temperature above threshold, cpu clock throttled" normally appears before this in the logs. The only solution I've found is to remove the thermald package. Didn't observe any undesirable side effects so far. Not facing any issues due to heating so far. Primarily using the laptop for coding. It does occasionally gets heated, but then nothing that causes any problems. I'll update if I face anything. Still no sound, even on Ubuntu 18.10. I'm also having an issue with my ux391ua running MATE18.04 with no Windows 10 installed. There is sound output audible with headphones on and volume >100% but it is very distorted and crackly. 18.10 was not helpful and updating kerenel to 19 doesn't change anything. alsa.long_card_name = "HDA Intel PCH at 0xec228000 irq 135"
I've tried various mixer related avenues which do nothing. I noticed that pavucontrol shows sound btw. When booted in Ubuntu -- no sound on laptop speakers or headphones. confirm the pavucontrol shows audio streaming. alsamixer all outputs set to "oo". Good news! Although I've tried this on my UX391UA, but without success. Can you describe your procedure step-by-step? I have the issue as well. I have a dual boot system with following. I think this is due to windows not properly shutting down and holding on to a hardware device, although not sure how. Managed to resolve by a full shutdown. i.e. go to shutdown on the windows start menu and hold shift while pressing restart. A screen will appear where you can select to shutdown. After the restart and logging into ubuntu, sound works . Can somebody confirm that the above mentioned procedure also works with an UX391UA. It does NOT work on my UX391UA. I have same issue on new Asus ZenBook 14 UX433FA (ALC294) on Ubuntu 10.04.1 (NO dual boot). Tried the 4.19.2 kernel and nothing changed. Looking forward to some sort of fix/workaround! Same on Asus Zenbook UX533 with Realtek ALC294. No sound on Kubuntu 18.10 (4.18.0-11-generic) - speakers or headphones. Dual boot with Windows 10. Windows 10 sounds work fine. Guys please keep this ticket for Zenbook S UX391UA nad ALC294. UX533 is different issue. This not make sense. I've got 3 other Asus laptops, where sound worked perfectly on Linux. Rebooting through Windows 10 or setting card in power_save does not work on UX391UA. I bought external usb-c soundcard and now I am using it with headphones. I think that without support from Realtek (for example Kailang Yang <email address hidden> https://www.systutorials.com/linux-kernels/84502/alsa-hda-realtek-new-codecs-support-for-alc234-alc274-alc294-linux-4-4-12/), Kernel Alsa team, Canonical team or Asus there will be no changes. I've tried to contact all of them but without any results. You may be right, but I think the common thread in all the laptops exhibiting this problem is the ALC294. Does the power save trick mentioned in my comment work for you at all? I have the pavucontrol showing audio but no sound is coming out of the spakers. Same problem with Asus Zenbook UX533FD. Also, can someone please specify the windows shutdown method? "i.e. go to shutdown on the windows start menu and hold shift while pressing restart. A screen will appear where you can select to shutdown." This doesn't work. I am dual booting Win10 and Ubuntu 18.04. I've tried everything. Nothing works. I originally booted into windows once and then installed linux over it. I did not power off I only did a reboot, some people are saying powering off from windows fixes sound on linux, which makes me think its some bios setting, but I don't see anything for sound settings in bios. I no longer have windows so I can't boot into it. I have the same issue on new Asus ZenBook 14 UX433FA (ALC294) on Ubuntu 2018.10 with Realtek ALC294. The only workaround that I have found till now is using a bluetooth headset. It works perfectly well. sorry for my poor english, I am french. A had exactly the same issue with a ASUS Zenbook UX433, and I fund a solution. The issue comes from the Kernel part of the Alsa drivers. This patch is not in the current kernel, nor in 4.20rc tree as far I can see. - Copy the "sound" folder from endless tree to official kernel tree. - Compile the "no more official" Kernel. - Use this kernel : the sound work perfectly. Note : I'm absolutly not a linux expert, it maybe exists a better way to use the patch than recompile the kernel. Personnally I have a ASUS UX433 laptop and I applied this patch on the linux-4.19.8.tar.xz kernel with a Debian distro. Once done all works ok. It should works also on a ASUS UX533. I'm using Ubuntu 18.04. Does anyone know if its possible to apply this patch? I would need idiot proof instructions. I tried installing kernel 4.20-rc5 and sound speakers (built in) still don't work. Patching and compiling the kernel is out of my league. I prefer the user-friendly and "foolproof" way through the Kernel Update Utility for Ubuntu (UKUU), mentioned above. Afaik, I can't edit the patch_realtek.c file when doing so with UKUU. Do you know if it's already planned to merge the UX391UA line too? If not, can somebody mention this to the kernel developers. sorry 4.19.10 worked, but 4.19.11 doesn't. I booted into windows and now sound doesn't work. Sound works fine in windows but not Ubuntu. Fixed, for anyone using windows on a dual boot, you have to SHUTDOWN from windows. and then power on and go into Ubuntu. If you RESTART from windows sound will not work in Ubuntu. Hello, I've recently bought an UX533FD ASUS, with the same sound problem. Sorry, though I´m an ubuntu user I have no experience in compiling kernels, and after reading this thread, I have two questions: 1)Is the fix available in kernel 4.19.11? 2) Is this command: sudo ukuu --install v4.19.11 the only one to execute? I managed to solve it in my Asus ZenBook UX433F. I'm running Ubuntu 18.04. 3. Restart. In GRUB choose "Advanced options for Ubuntu". Select the new Kernel version. To be on the safe side, I even did a fresh Ubuntu 18.10 installation and updated to the 4.20 kernel with UKUU, but I still don't have sound. Neither from the internal, nor the external speakers. I've played around with alsamixer in the terminal – without success. Can somebody confirm that they got the sound running just by installing the latest kernel (4.20) on the ASUS UX391UA (that's the model this issues is actually about)? The UX391UA fix is not in 4.20 as it was already a release candidate. To get sound working on this model you'll need to download the 4.20 source, apply the patch to sound/pci/hda/patch_realtek.c then compile and install the kernel. Can confirm that installing kernel 5.0-rc1 using UKUU that sound from the speakers and earphones now work on my Zenbook UX391UA. I followed your discussion to try to solve my problem. Now sound works in my PC, but I've got some other problems that came with. 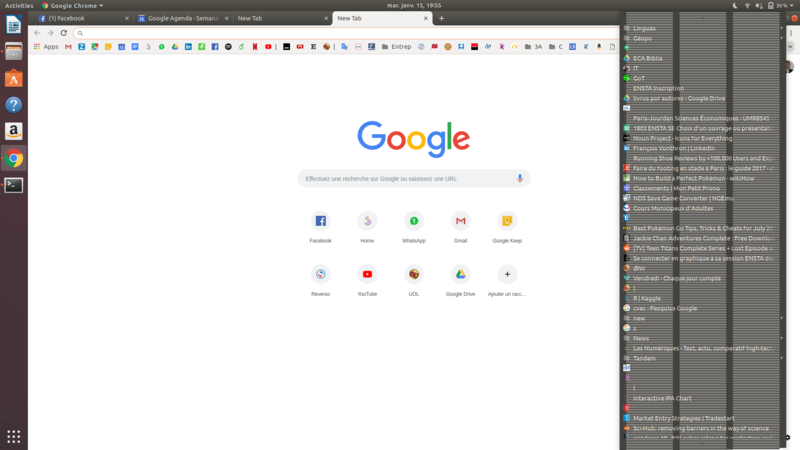 My PC is an Asus UX333FN, and I'm currently running on Ubuntu 18.04 with kernel 4.20. It came with 4.15.0.29.31 originally. As I said, sound works, but my problem now is apparently the NVIDIA Card (it has a Geforce MX150). Sometimes my screen and my mouse freeze, and I also get something like in the attached picture. I also need to press two times the Fn keys for it to start working, which didn't happen with the other kernel. Has someone faced the same problem? Confirming that install 4.19.10 via ukuu as mentioned by Craig in comment #78 worked for me on zenbook ux533FD with no windows install. I encounter the exact same problems of Thales Loiola Raveli on an ASUS 14 UX433FN with Linux Mint 19.1 Cinnamon. The problem can been solved by updating to the newest 4.19.x kernel. I am a Ubuntu user with Asus UX433FA. After a few testing, I can confirm that newer kernel 4.19.17 currently available in kernel.org is the solution (I tried out 4.19.8 as well but I experienced something else so I decided to use 4.19.17, which, by default, accepts the changes suggested by Jian-Hong). However, I am using a dual boot system. There is a minor problem that bugs me: even if I turned off the fast boosting in BIOS, if I boot into Windows then restart and try to boot into Ubuntu, the sound will distort and disappear eventually. The solution would be completely shutdown Windows every time you want to switch between the OS. Hope this could be solved in the future. A good thing though, is after installing the new kernel, the original 4.15.x kernel that ships with Ubuntu 18.04 can also output sound properly !!! But, I have always got the feeling that the sound quality on Ubuntu is not as good as that of Windows. I might be over-sensitive tho. Try to blacklist the nouveau; go to the software updates -> additional driver to look for nvidia driver. I am fortunate that I did not get the mx150 model. I confirm that install 4.19.10 via ukuu worked for me on zenbook ux533FD with windows 10 dual boot! Now I can play PC game with my windows 10, and develop on my ubuntu 18.04! I also want to confirm that the sound has come back when I upgraded the kernel to 4.19.18. I am using Mint 19.1 and by default it didn't work. Warning! I first upgraded to 4.20.5 but it didn't work. I switched to the 4.19 and it magically started to work! And on a side note it works better than the stock windows version. The sound card was making weird static noises when used on Windows 10. Hey All. I run into troubles with sound also on my Asus UX331UAL (EG022T) laptop with ALC294 sound card. I run Kubuntu 18.04. I confirmed that after updating kernel to v4.19.19 Sound works well. Updated only kernel without any patches. Updated using Ukuu app. And it is not depending form method of shutdown windows OS (shutdown or restart). PS: I also run into other troubles. When laptop in sleep mode when running Kubuntu battery is not charging (battery led not lighting). When I trying to charge laptop when Kubuntu work normally, the battery starts charging (battery led lighting), but it never finishes charging and led always lighting with orange. When I shutting down my laptop battery charging in normal mode. Also, all works perfectly in Windows. Did the anyone run into such troubles? And I will appreciate if anyone can forward me to the solution for this issue. Small Update. Yes, sometimes when I work on Windows and reboot to Kubuntu sound card stop working. When I load back to Windows and next shutdown it. And after that sound card begins work correctly. I have the issue that Maksym is talking about. Indeed using 4.19.18 "fixed" the problem but it seems to be fixed somehow randomly. When I restart the laptop and enter my paassword, Linux Mint tries to play an intro chime but it gets cut off at the middle or at the end. I have to restart, login and it may or maynot fix the issue. After few restarts it starts working permanently for the duration of the session but this is not a real solution, isn't it? If someone is aware how to fix this issue please raise your voice! My concern is that since the system reports a different model, it will require yet another different line to be added to the patch. Can somebody shed some light if that model needs to be added separately or will the UX391UA fix the problem on QA325UA as well? Also, how should I go about submitting a request for the QA325UA if needed? However I do have an issue with the input. Cannot recognize my internal microphone. Not a big issue as I don't speak that much or I can use different devices for that communication but the mic is the last bit that is not working on that "damn" Asus Zenbook. You just select the version, install, and then reboot. In the GRUB menu, select Advanced Options for Ubuntu, and select the desired kernel version. If you have an Nvidia card it's possible that ukuu gets stuck in "setting up linux-headers" while installing the kernel version. Only thing you have to do to solve this is Disable Secure Boot from the BIOS. Just updated to kernel 5.0 and the sound on my model ( Asus Q325UAR / dual boot ) does NOT work. How/where can I submit a report so that the model is included in the list for the fix? As far as I am aware the Q325UAR hardware is exactly the same as UX391UA but the model was targeted at a different retailer. The kernel fix (comment #77) only checks for the laptop model name, not anything else. So it will only work for "ASUS UX391UA". If you have a different model of laptop then please open a different bug. The Q325UAR is quite different from the UX391UA so as @vanvugt points out, a separate bug report should be opened for that and any model other than the UX391UA, which now has this issue fixed. Thank you @Santiago Londoño your solution worked. Just to add I also had to disable secure boot else it was not booting up.